Philosophies of early childhood shape the way our children learn & grow. These ideologies are the cornerstones of any educational programme & are should be hugely influenced by defining factors like our communities educational prowess, standards of high schooling, capabilities of available human resources, home environment, an average parents educational backgrounds and numerous major factors which our minds can envisage. The major chunks of schools have been following philosophies which have been created in a developed country with a focus on factors that were or are relevant in that region. These philosophies are Montessori, Waldorf, Reggio Emilia, HighScope & Creative Curriculum etc. What is common between all these preschool programmes are that they all advocate a play-based method of teaching & we have seen research prove that “play-based learning” or “child-centric approach” is the best way to progress through an early childhood education programme. Having said that it’s our firm belief that while a play based approach is very much needed for our children to experience learning concepts, the age-old practice of academics should not be immediately thrown out of the window. At Culture Club we want our students to have a balance of both approaches. You know your child the best, and there is not a right or wrong answer here. Some children thrive in play-based preschool programs, and some are happier in skills-based programs. It’s important to note that the quality of the program has a definitive impact of how successful it will be for your child. Refer to the infographic below to understand both approaches in practice. At Culture Club we want our students to have a balance of both approaches. 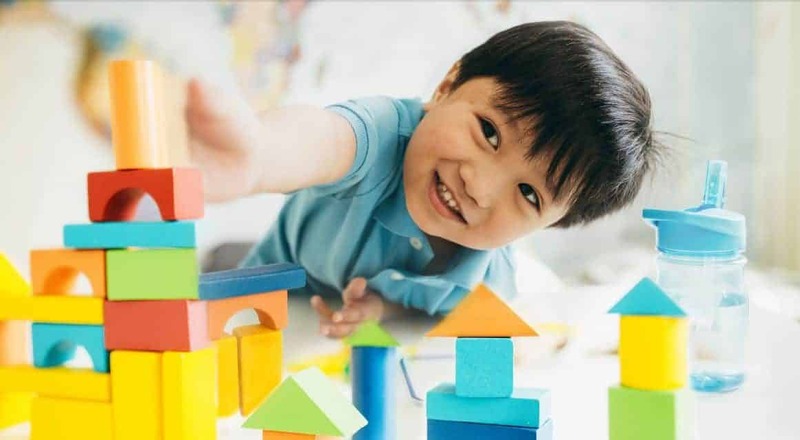 We focus on our approach so that the preschoolers can have short times of structured (and teacher directed) learning activities in addition to valuable play experiences. We want a combination of both worlds. We don’t want it to be academic vs. play based preschool that’s why we follow the “Creative Curriculum” which is an in-house developed & thought out process with which we hope to guide our children through a perfect early childhood programme.